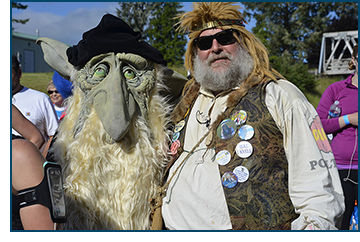 The Astoria Scandinavian MidSummer Festival is pleased to announce the 16th Annual Running of the Trolls run/walk! We invite you to join us for a walk or run in the beautiful Olney countryside. Proceeds from the race will benefit the Scandinavian MidSummer Festival Association Scholarship Fund. Date: : Saturday, June 22, 2019. 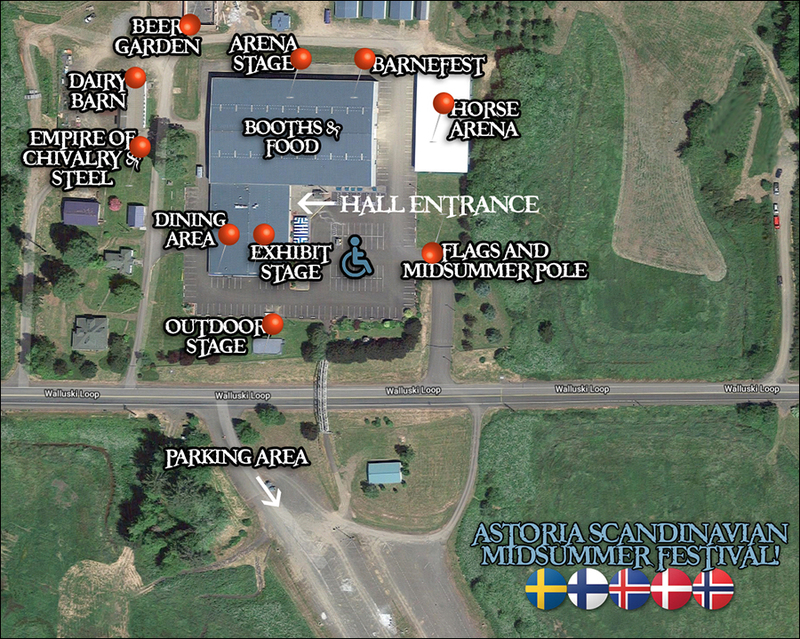 Race starts at 8:30 am from the fairgrounds parking lot. Also included is free parking for Saturday, June 22 and a bottle of water. 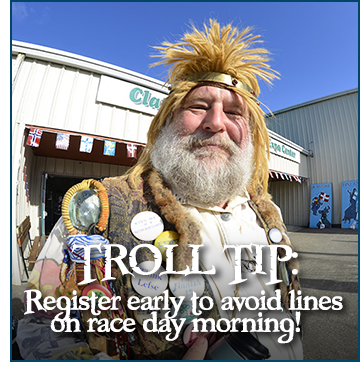 Race day check-in: 7:00am-8:00am at Clatsop County Fairgrounds building entrance. T-shirts or Festival buttons, as well as parking pass and water are distributed at this time. Awards: Overall top male, female, teen and youth finisher/runner in 5.75 mile run will be awarded prizes. Distance choice: 1.5 mile run/walk, 3.0 mile run/walk, or 5.75 mile run. passes will be handed out upon check-in or emailed to those preregistered. P.O. Box 34, Astoria, OR 97103. NOTE: Late registrations will be accepted in the lobby of the Fairgrounds on the day of the Race starting at 7 AM.